Halloween is my favorite time of the year. 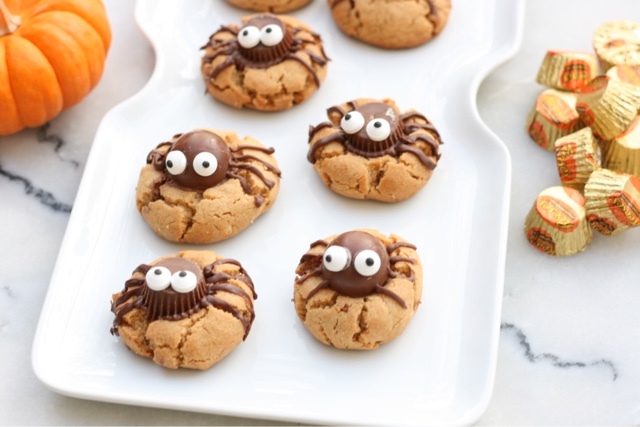 I love making spooky treats to satisfy my sweet tooth. 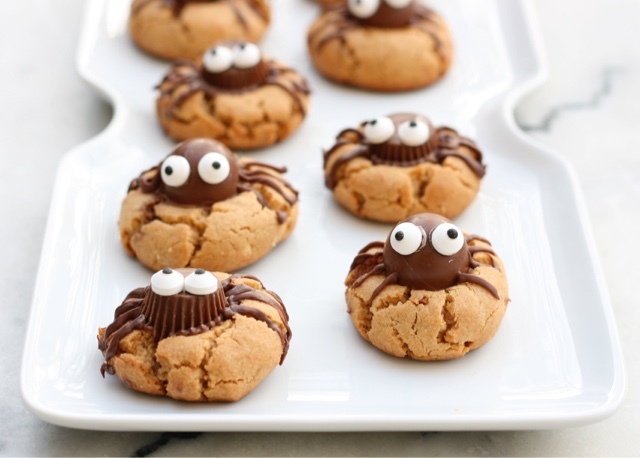 I made half of the spiders with chocolate truffles and half with peanut butter cups, but you can do either. (I'm not a huge fan of chocolate truffles). 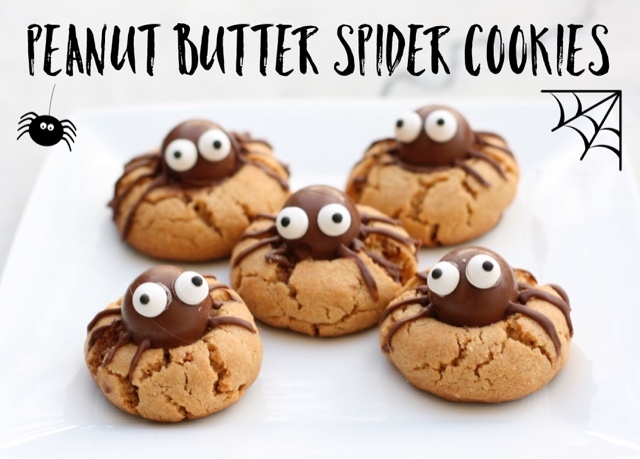 These spider peanut butter cookies are almost too cute to eat... Almost. 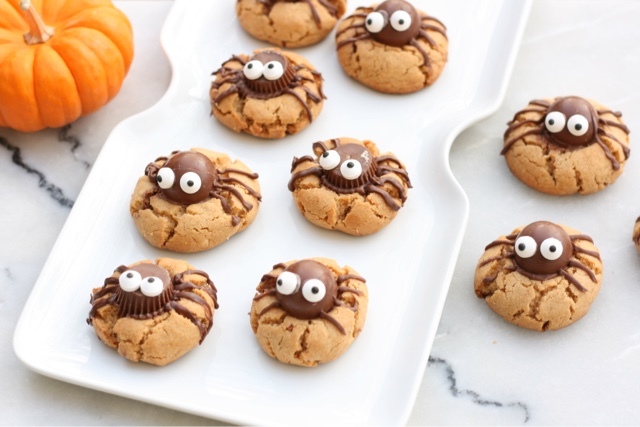 Roll the cookie dough into 24 - 1 1/2 tablespoon balls and spread 12 out on each cookie sheet. Bake for 10 minutes. Remove from the oven. 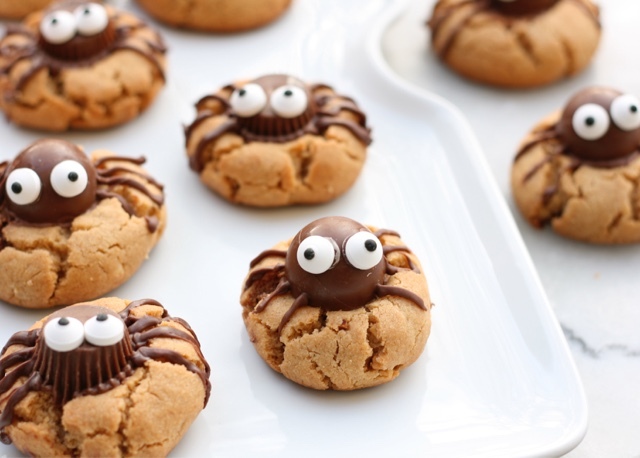 Quickly use a pestle to press a cavity in the middle of each cookie. Then place back in the oven and bake another 6 minutes, until golden. 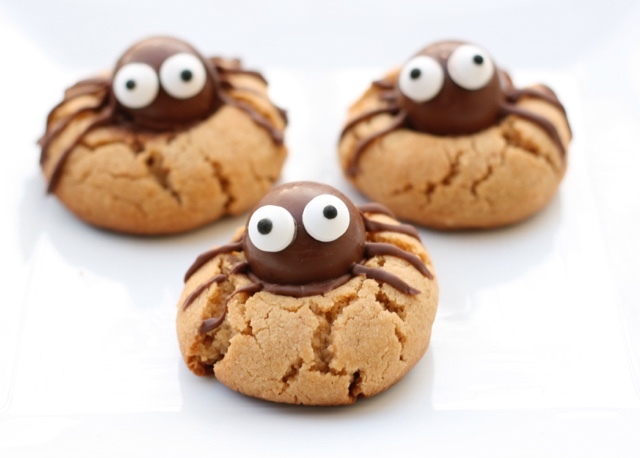 Then use the remaining melted chocolate to glue 2 eyes onto each truffle spider. Cool until the chocolate is firm and serve. Recipe adapted from A Spicy Perspective.